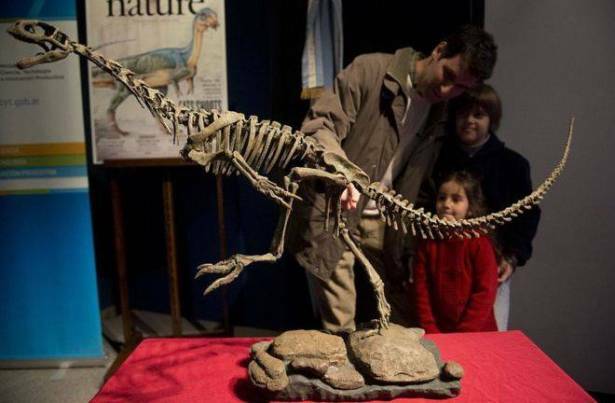 The Frankenstein dinosaur, more properly called Chilesaurus, puzzled experts when it was first discovered two years ago. It had the legs of an animal like a Brontosaurus, the hips of a Stegosaurus, and the arms and body of an animal like Tyrannosaurus rex. Scientists simply did not know where it fitted in the dino family tree. In the currently accepted family tree, the ornithischian group was always thought to be completely unrelated to all of the other dinosaurs. Palaeontologists regarded these creatures as an odd-ball group. But a reassessment by Mr Baron published in March in the journal Nature indicated that ornithischians were more closely related to the meat-eaters, such as T.rex, than previously thought. And it is in re-configuring the dinosaur family tree that Mr Baron transforms the Frankenstein dinosaur from an enigma into a missing link. "Now that we think ornithischians and meat-eating dinosaurs such as Tyrannosaurus are related, Chilesaurus slots exactly in between the two groups. It is a perfect half-and-half mix. So, suddenly in the new tree it makes a whole lot of sense." The alternative version of the dinosaur family tree, now called the "Baron tree", is more than just a rearrangement, however. It sheds new light on how different groups of dinosaurs split from one another and evolved along different paths, adds co-author Prof Paul Barrett from London's Natural History Museum. "Chilesaurus is there at the beginning of one of these big splits and hopefully by understanding more about its biology it will tell us what the driving factors might have been." Prof Barrett and Mr Baron both believe that their re-configured tree could well replace the current dinosaur family tree which has stood the test of time for more than 130 years. The Baron tree is controversial and has its critics. But if it provides further instances where it can smooth the relationships between different dinosaur groups then its supporters will grow. Mr Baron thinks the rescuing of Chilesaurus from its Frankenstein status could be just the first of a series reappraisals. "We've landed a good punch against the counter argument here. 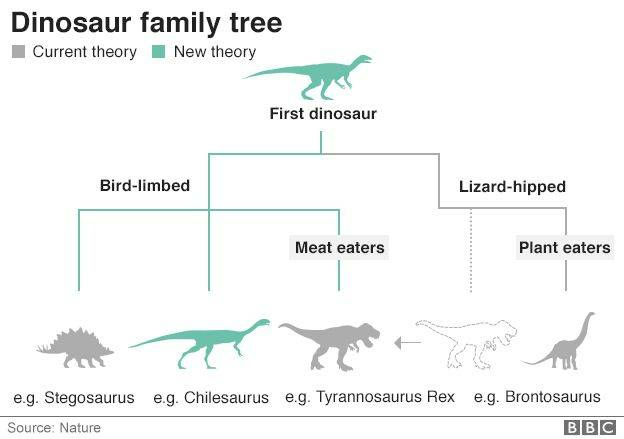 This is a very good step towards my main objective which is to try to really nail down the ornithischian lineage because I think we've been completely misunderstanding and ignoring this very important group for far too long. "Eventually, we'll arrive at a consensus. I think this is a step toward the right model." Prof Sarah Gabbott, from Leicester University, was not involved in the study. 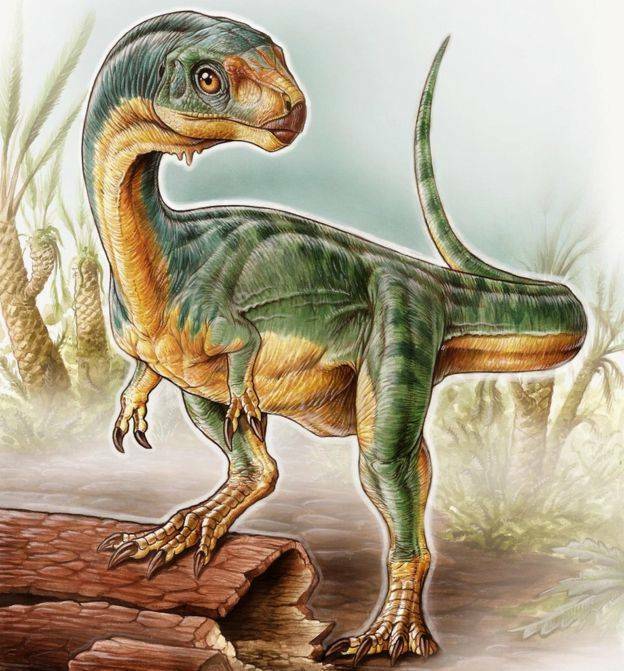 She described the new analysis as "incredibly important"
"This is because Chilesaurus preserves an unusual suite of characteristics that are a mix between between the ornithischians and theropods. In particular, its melange of features helps to reveal the sequence of events during the critical early stages of ornithischian evolution."